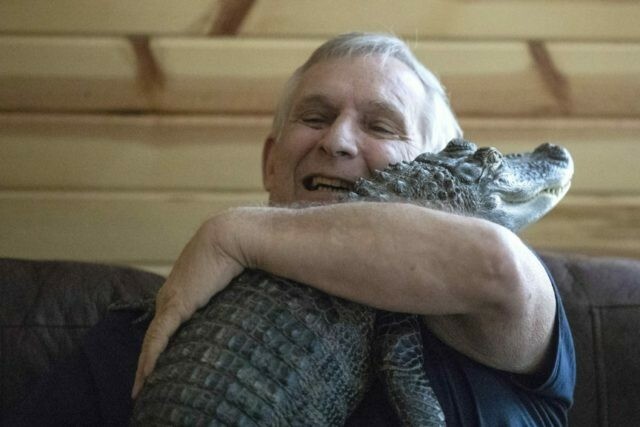 Joie Henney, 65, said his registered emotional support animal named Wally likes to snuggle and give hugs, despite being a 5-foot-long alligator. The York Haven man said he received approval from his doctor to use Wally as his emotional support animal after not wanting to go on medication for depression, he told Philly.com . Henney’s background also indicates a comfort with creatures like Wally. He hosted a show called “Joie Henney’s Outdoors” on ESPN Outdoors from 1989 to 2000, according to the York Daily Record . Henney frequently takes Wally out for meet-and-greets at places like senior centers and minor-league baseball games.